The title explains this piece. Alann asked for a dragon morphing out of a tree. I added the Peony at the bottom to add some more color and give the piece some more depth. 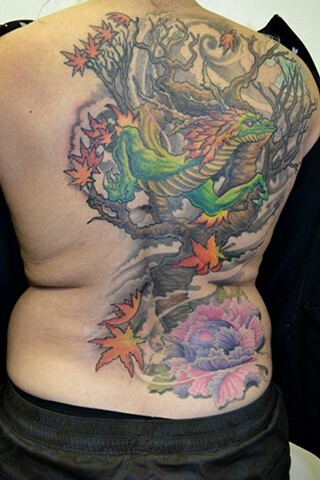 She only wanted a partial back piece based of another one I had done like this. Really stoked on how this turned out! Thanks Alann!